Greenspider integrates in a single circuit Satellite Positioning, Machine2Machine Module for Cloud Connection, and proximity technology (NFC), enabling easy access and advanced services for vehicle sharing schemes, like mobile subscription and mobile payment. Greenspider devices exploit Improved positioning technology, building on innovative features of European GNSS systems, with standard interfaces to serve different ITS applications and new concepts for flexible charging based on guaranteed positioning. Greenspider devices embed multi-standard GNSS (decoding GPS, Galileo, EGNOS and Glonass) for optimal satellite visibility and guaranteed positioning, DSRC, NFC, and 3G/4G connectivity. The data exchanged will include speed, location, direction of travel, braking, accelerations, loss of stability, accident detection with automatic sending of warning messages in both short range and mobile network to cloud. The system exploits the latest Satellite Positing features, like Data Integrity and Protection Level today supported by state of the art GNSS receivers. Thanks to the mulltiple standard GNSS-Gps-Glonass the system provides certified positioning, and increased precision thanks to the increased availability of visible satellites. The use of ultimate GNSS receivers and their improved modulation performance is a key factor to increase the competitiveness of the product. Greenspider Research and Development activities are also focused on Open in-vehicle platform architecture for provision of real-time ITS services and mechanisms to provide seamless connectivity, interoperability and secure flow of information across stakeholders. 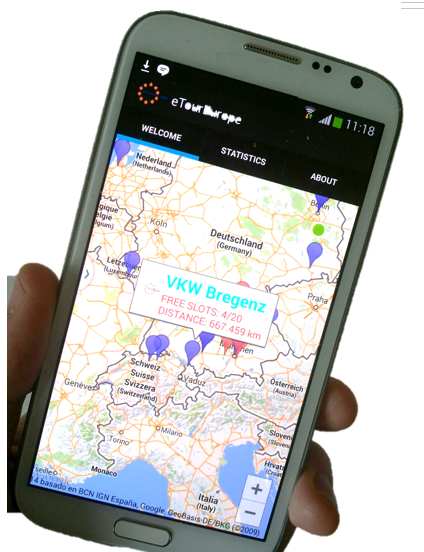 This include the use of Dedicated Short-Range Communication (DSRC) and 4G mobile communication technologies, for V2V (Vehicle-to-Vehicle) communication for automatic spreading of alerts during road events. 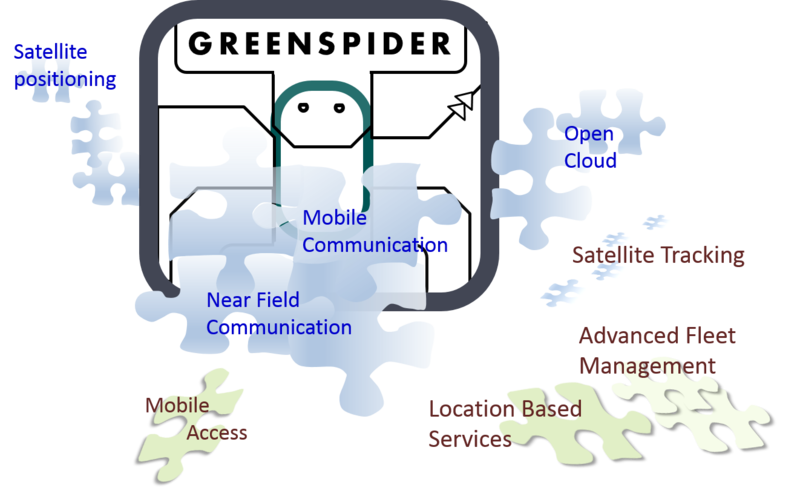 The data retrieved from Greenspider sensors are uploaded on Open Cloud Database, available to deploy integrated Mobility Application and services. Greenspider provides the API (Application User Interface) to handle the data or integrate in existing platforms.